Preheat the oven to 400°. On a large rimmed baking sheet, toss the bread with 2 tablespoons of the olive oil. Bake for 8 to 10 minutes, until crisp on the outside but chewy within. Let cool. Meanwhile, prepare an ice bath. 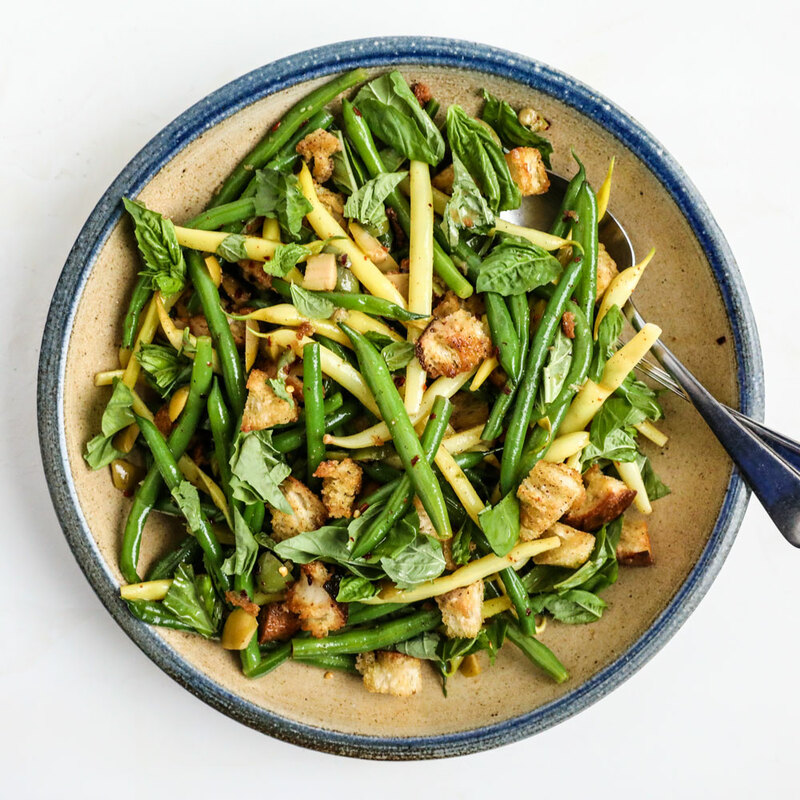 In a large saucepan of salted boiling water, blanch the green and wax beans until crisp-tender, 3 to 5 minutes. Using a slotted spoon, transfer to the ice bath to cool completely. Drain well and pat dry. In a large bowl, toss the beans with the croutons, olives, vinegar, crushed red pepper and the remaining 1/4 cup of olive oil. Season with salt and black pepper. Fold in the basil and serve immediately.